Tired of having to open and close your Huawei just to check your time / notifications? 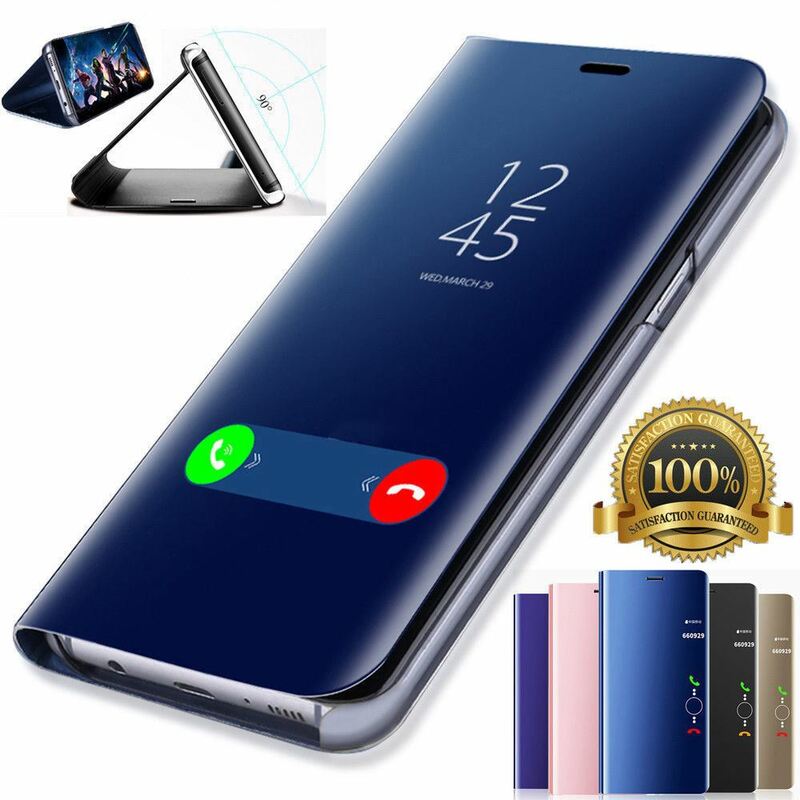 This Smart View Case for Huawei is unique in that the notifications will show through the front Flip Panel allowing you to effortlessly view your notifications without having to open the Front Fip Panel. Who doesn’t love a flip Case? We all do! But the annoying thing about them is when you have to open the front panel to talk. Well worry no more as our Huawei Flip Case have a built in speaker port on the front Flip Panel allowing you to answer your calls effortlessly and in a sleek way. Walk around with your Huawei enclosed inside the Case while you talk to your loved ones. Worried you’ll break your new and expensive Huawei Case. Stressed about the high costs of replacement parts? Relax and enjoy yourself with our Shockproof Huawei Flip Cases. These will ensure to protect your Huawei from impacts and mean that you can relax more and spend less on expensive replacement parts. The reinforced corners will take all the impact and the Leather back will protect the backside, while the Front Flip panel will ensure to keep the screen protected, so you can be confident knowing your Huawei is safe in this Case. Want to watch movies effortlessly but keep having to hold the Huawei Phone? Well not anymore you don’t! Our Huawei Flip Cases have a built in Kickstand which simply folds out in seconds. Place it on any flat surface and you can now watch all your favourite movies and videos effortlessly while relaxing. Use it on a train, a plane, or even at home while relaxing on the sofa. Why buy a Case that takes a rocket scientist to apply? Ours is a simple snap on which leaves no scratches on your Huawei unlike others which can scracth your Huawei during application. This Case takes literally less than 10 seconds to install and is a simple clip on Case requiring no skill or technical experience. This Case is also easy to remove when need be and won’t damage your phone in the process. A soft skin is also applied on the inside to ensure a scratch free back panel. No-one wants to take their Case off when needing to charge. And now you don’t need to either! Simply slot your Huawei with the Case on, onto a Wireless Charger and watch your Huawei charge effortlessly at maximum speeds. The High Grade Leather Material won’t interrupt your charging signal so you can ensure maximum speeds when charging. Worried if your Huawei Case will be compatible with your accessories? Well don’t be! Our Easy Access ports allow you to connect all types of chargers and headphones into your Huawei without having to remove your Phone. Not only does this mean an easier to use Case, but also less hassle of removing and reapplying the Case over and over again. This Huawei Smart Flip Case comes with a no hassle warranty meaning any issues, and we’ll simply replace or refund without any hassle! Not only is this Huawei Case covered under a 1 Year Warranty, but also backed by the eBay Money Back Guarantee which ensures you either get what you paid for or your Money Back! So what is there to lose? If the item is defective, we will be liable for return shipping too! Rest assured, you are in safe hands. All Orders before 6.00 PM Monday – Friday are dispatched the same working day. UK Orders are sent via Royal Mail 1st Class Delivery and aims to deliver within 1 working day. This is achieved around 99% of the time however please note as this is not a guaranteed next day service your item could sometimes be delivered within 2-3 working days. For a Guaranteed service, please purchase the premium shipping option if you require this. All EU Orders are sent via Royal Mail International Priority service. Royal Mail Aims to deliver within 3-5 working days. Sometimes this can be slightly delayed due to potential customs delays etc so if the item(s) don’t arrive on time, please allow a few extra days before contacting to allow for it to turn up. If after waiting a few extra days they still don’t turn up, then contact us immediately and we’d be more than happy to help. All International Orders outside of EU are sent via Royal Mail International Priority service. Royal Mail Aims to deliver within 5-7 working days. Sometimes this can be slightly delayed due to potential customs delays etc so if the item(s) don’t arrive on time, please allow a few extra days before contacting to allow for it to turn up. If after waiting a few extra days they still don’t turn up, then contact us immediately and we’d be more than happy to help. Simply Free Returns For 60 Days! Every part of your return is covered by us. As long as the item is unused we will cover your return shipping charges and will refund you in full too! Please note: There is a 60 day limit on our Free returns, so if wanting to return please contact us within 60 days to arrange this. Apart from that no complicated Terms and Conditions , simply contact us and we’ll arrange everything! 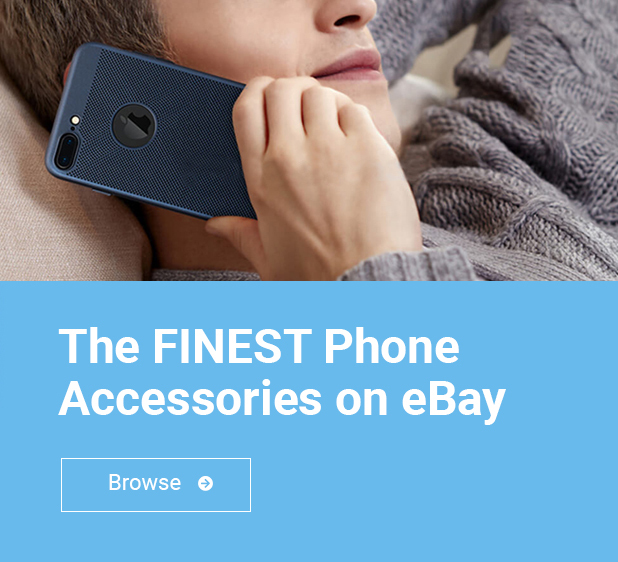 Finest Bazaar is a Genuine UK Based Mobile Phone Accessories provider. We provide Mobile Phone Accessories such as Cases, Covers, Screen Protectors and many more at very low prices. We import all of our items directly avoiding any middle men and so you can rest assured that our items are of the highest quality as we use our in house quality control when importing. All items come with a Warranty unless stated and so you can be sure that if any problems do arise, they will be resolved instantly. We stock all the latest models for all the major manufacturers such as Apple iPhones, iPads, iPods, Samsung Galaxy Models and many more. Our store is always updated with new items and so we recommend you follow us as a seller and sign up for our newsletter to ensure you always receive our offers first before anyone else! Our customer service landline is on our page and so if there are any questions or feedback please do let us know.